I do not remember a time in my life when I was not an artist. My parents enrolled me in painting classes from the age of 5 because I had always shown an interest in art. I create things for the joy of it! I hope to inspire the viewer to think more creatively about the world around them…to find beauty everywhere. In my classes, I want to enable people feel more comfortable exploring their creative side. With my jewelry, I want to help the wearer express their inner artist and individuality by offering a choice that is one of a kind and sure to spark a conversation. I have a BFA from Middle Tennessee State University with an emphasis in commercial art and a minor in metals and photography. Many of the media that I work in are self taught, but build on the skills that I have accumulated in my lifetime. 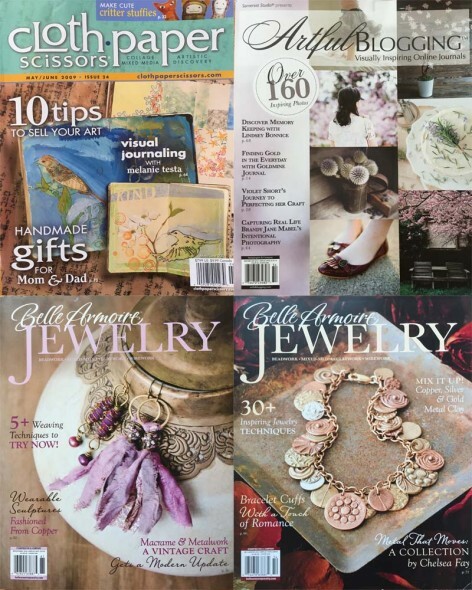 I have had my mixed media published in Cloth Paper Scissors magazine and in the November 2015 issue of Artful Blogging Magazine and have been featured in three issues of Belle Armoire Jewelry Magazine. At this time, I sell my work locally at Cliques Salon, Oak and Lace, Bleu 32 in Columbia, TN, and in my Etsy shop. I have begun teaching classes locally, but I would be willing to travel if the location is interesting. If you are interested in any of these techniques, please contact me. I also do whole day classes in my home studio for individuals or small groups. If you have a project in mind that you would like to have done, please contact me and I will be happy to show you examples of my other work. Let me help you make your idea become a reality. When I’m not making a mess in my studio or engrossed in my Ipad or computer, I spend a lot of time with my grown kids and grandkids. I can’t wait to try all of the amazing, fun art and craft activities with them that I am accumulating on my Pinterest board as soon as they quit eating the paint and playdough. I putter around in my vegetable garden with my rescue pups Maggie and Cooper in the way by my side. I love creating interesting things in the kitchen with all of those yummy veggies and making pickles with my hubby. Water is my favorite element. (I guess you could tell from the name of my studio.) If I had my way, I would be kayaking every day…whitewater or still water. I want to still be doing it when I am 80! When I grow up, I want to be an archaeologist. Part of that dream came true in 2011 when I got to go on a dig in Jerusalem for 18 whole days! Is it strange to think it is a blast to sift through dirt for days in a cave under the old city? At home I have to be satisfied with looking for arrowheads and Native American pottery. 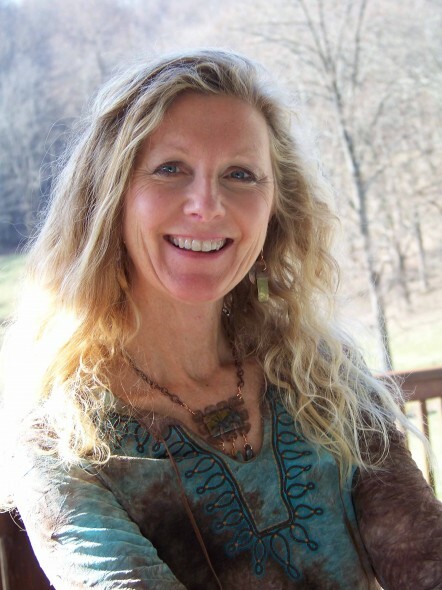 I am part Cherokee, (way back) and so all of that intrigues me. I love to imagine the hands of the person who crafted these pieces centuries ago. It’s kind of fun to imagine that a century or so in the future, someone will be unearthing some of my work and wondering about the mind and hands that created it.